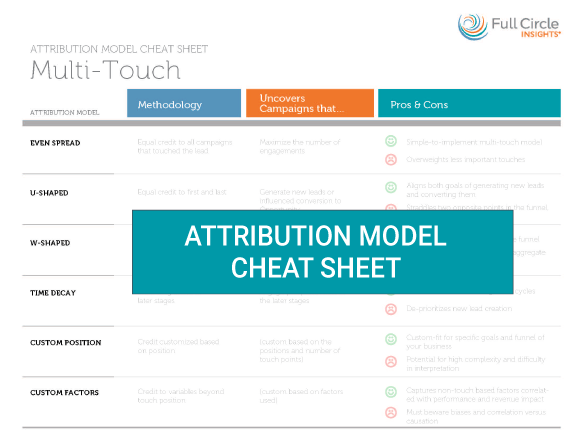 What marketing attribution model is right for your business? If you’re a marketer, you know how difficult it is to accurately measure marketing performance. You have plenty of choices when deciding on an attribution model—so where do you start? 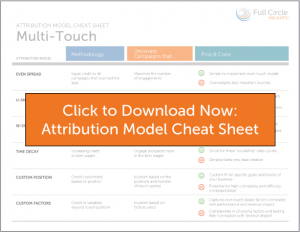 Discover different attribution model types, methodologies, and the pros and cons of each. Identify which model will help you best prove marketing’s impact on revenue. Optimize marketing campaigns that are working by identifying where your marketing spend is paying off. Thank you for requesting the Full Circle Attribution Model Cheat Sheet.